If ever there was a ‘feel-good’ comedy drama in the field of cult television ‘Due ‘South’ was surely it. Despite a troubled make-or-break history, this originally Canadian, then international, production was the cornerstone of early evening viewing for a loyal legion of fans who even now continue to cherish its quirky off-beat humour and storylines that took in everything from the ghostly apparitions of dead fathers to a deaf hunting dog – and Leslie Nielson (legend!). First aired in 1994 as a one-off television movie by the Canadian broadcaster CTV, unexpectedly high ratings led to the commissioning of a full series that was shown on Canadian and U.S. television stations (though never regularly in the United States) and sold well overseas, particularly in Britain, France and Germany. Despite later production troubles, including being cancelled by its baffled American network backers in CBS, the show struggled on, overcoming two long hiatuses, and surprisingly maintaining the quality of writing, acting and high production values that made it stand out from many of its contemporaries (including the fantastic music throughout the series that gave it such a distinct identity). 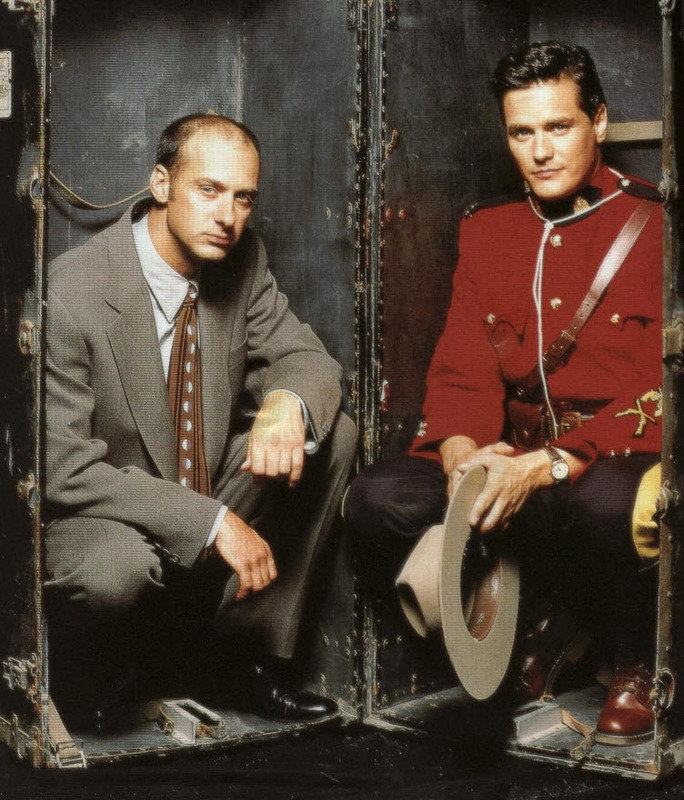 The story itself focused on the adventures of ‘Constable Benton Fraser’ (played by a charismatic Paul Gross), a member of the Royal Canadian Mounted Police, seconded to the Canadian consulate in the city of Chicago, following the murder of his father there and the hunt for the perpetrators. This simple and fairly traditional TV storyline set up the initial premise of the series but it soon grew far beyond that. Hidden behind the network-friendly façade of a crime drama was a fish-out-of-water tale shot through with inventive humour and wry observations on life and culture (particular the contrasts between Canada and its southern neighbour) and which seamlessly blended elements of the supernatural, strange and downright bizarre into its storylines. Aiding Frasier in his adventures was a local Chicago cop, ‘Detective Raymond Vecchio’ played by David Marciano, later replaced by the very different but just as excellent ‘Detective Stanley Kowalski’ played by Callum Rennie, and Fraser’s eccentric dog ‘Diefenbaker’ (a character in his own right). This created the ‘buddy show’ dynamic loved by American TV but belied the continuing challenge to conventionality that ‘Due South’ represented – and which the American networks eventually found too awkward to classify. 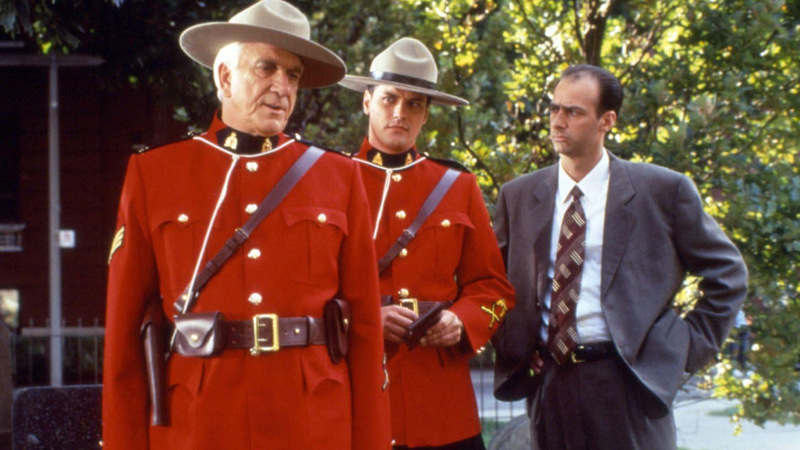 Part of a movement of innovative dramas and comedy-dramas that defined much of television in the early 1990s, along with ‘Twin Peaks’ (1990-1991) and ‘Northern Exposure’ (1990-1995), ‘Due South’ was never boring, never a let down. Unlike so many other great ‘cult’ TV shows it never took the sometimes inevitable dreaded route of ‘jumping the shark’ (‘Northern Exposure’, anyone?). It was a genre-busting mix of every cliché and every idea seen in every TV series before and since. Funny, gentle, intelligent, touching, wry and occasionally pointed, it was a show that very few people failed to fall in love with – and those that didn’t were probably too cynical or worn down by life’s labours to appreciate a television program that happily tilted at windmills and begged others to join in. And it had Leslie Nielson, thankfully free of his ‘Police Squad’ franchise persona, and displaying his genuine talent as a comic actor. Due South did jump the shark after Ray Vecchio was written out of the show. Fraser’s friendship with Kowalski just wasn’t as interesting. At the same time, the writing became increasingly bad, so there were no good plots to save a show that had chemistry lacking between the two main characters. For all the talk about “partnership,” Fraser and Kowalski just didn’t convince me that they were very good, close friends. They were casual pals, nothing more.